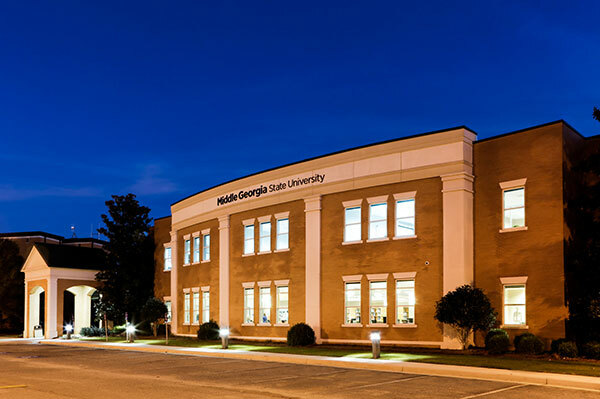 Middle Georgia State University students in Dublin now have the opportunity to pursue the Bachelor of Science in Public Service/Human Services without having to travel to other campuses for some courses. MGA's Department of Psychology, Sociology and Criminal Justice launched the degree on the University's Dublin Campus this spring semester, which began January 9. "It's encouraging to see the interest students on our Dublin Campus have in this degree, which is one of the longest-standing at Middle Georgia State," said Dr. David Biek, the department chair. "This is a convenient opportunity for residents of the Dublin community to earn a bachelor’s degree in a growing field. There is a market for highly trained human service professionals in government and the not-for-profit sector." Public Service is a term encompassing a large variety of occupations performed in the public interest. Most of these jobs are in local, state and federal government; public and private agencies; and enterprises established to provide social services. MGA's Bachelor of Science degree in Public Service/Human Services is designed to prepare graduates for entry into this occupational sphere. Four of the program's required courses work best in a traditional classroom format and will be offered on the Dublin Campus on a rotating basis: "Conflict Resolution and Negotiation," "Introduction to Public Service Agencies," "Interviewing" and an internship. All other courses for the degree program are available in a fully online format. Dr. Michael Stewart, MGA's associate vice president for Student Affairs who has an extensive background in public service, is teaching the Dublin Campus courses this semester. "I'm excited to help extend this four-year degree program to the Dublin community," Stewart said. "The Dublin Campus students enrolled in the classes I'm teaching this semester are very enthusiastic." For more information, contact Dr. David Biek at david.biek@mga.edu. The Department of Psychology, Sociology and Criminal Justice website is at http://www.mga.edu/arts-sciences/psyc-socw/default.aspx.